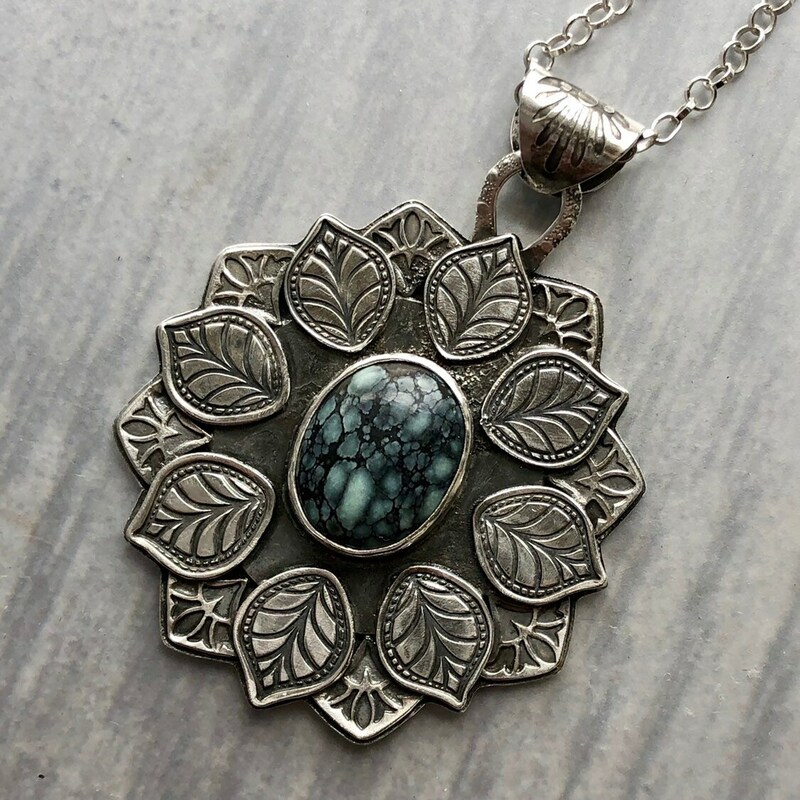 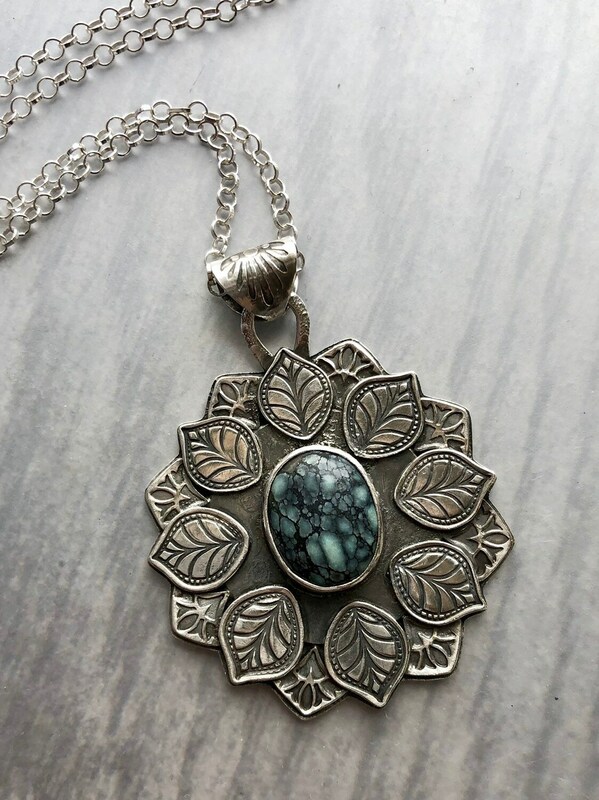 I’ve made this mandala-style pendant using an unusual natural Hubei turquoise cab. 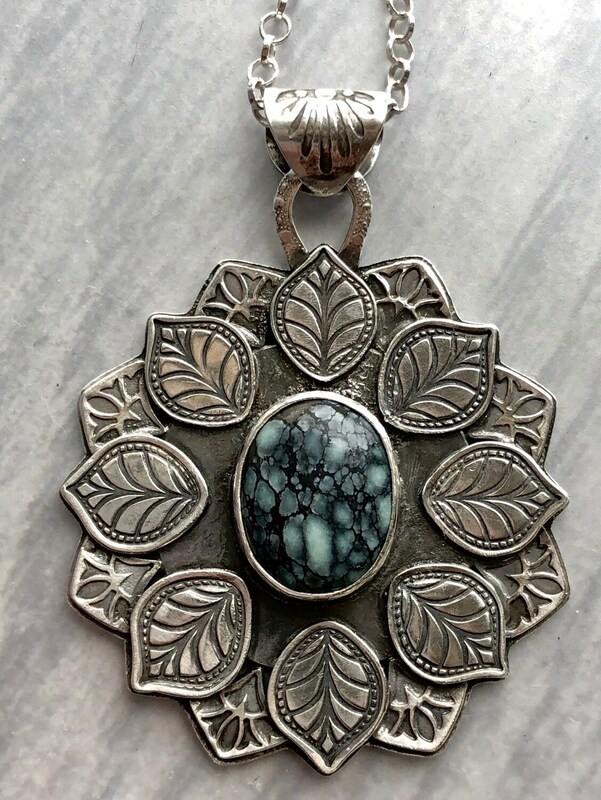 I found it along with some turquoise from the Red River mine, but I can’t be sure that it is from there. 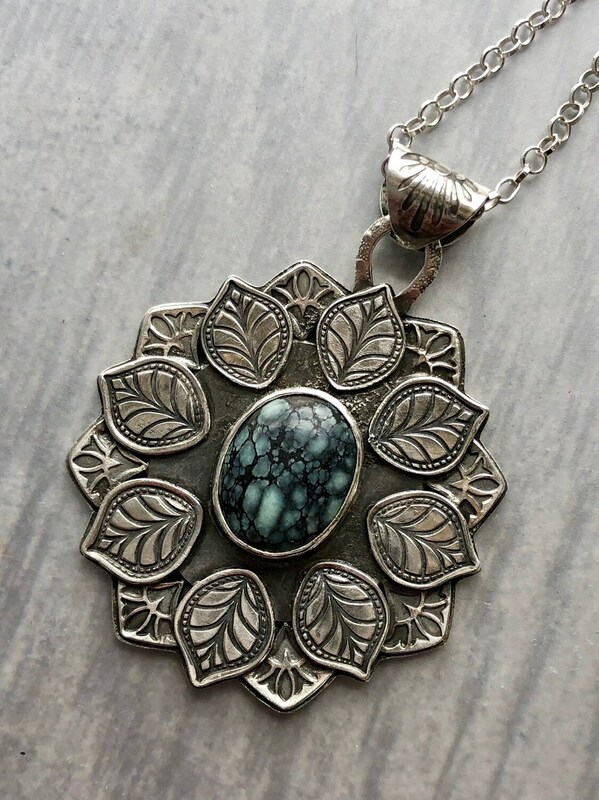 The stone shows a subtle and intricate pattern of webbing filled with shades of a muted sage color. 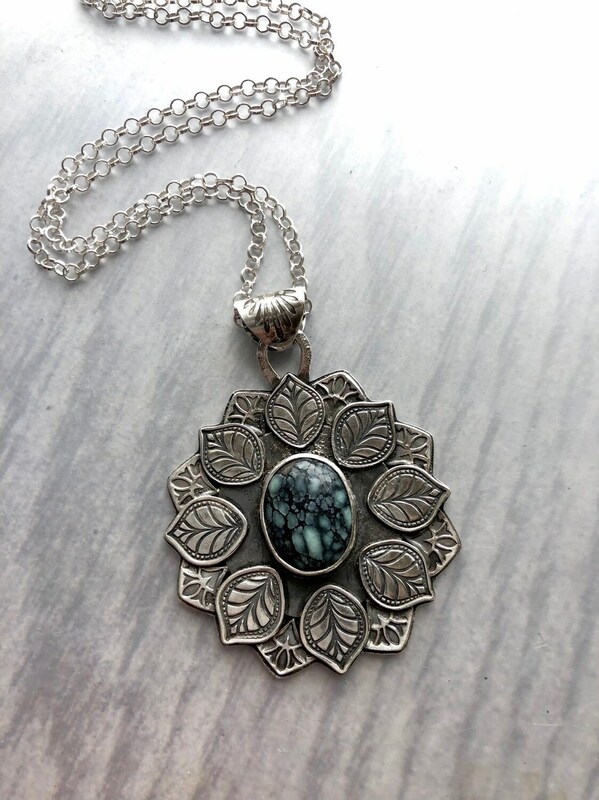 I’ve stamped and layered the silver around it to form a complex mandala-like setting. 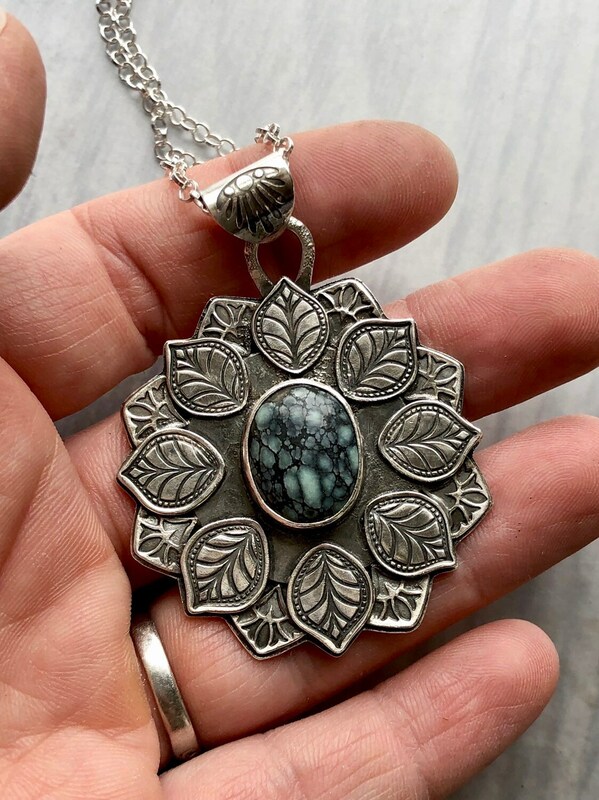 • This pendant is approximately 1 3/4” in diameter. 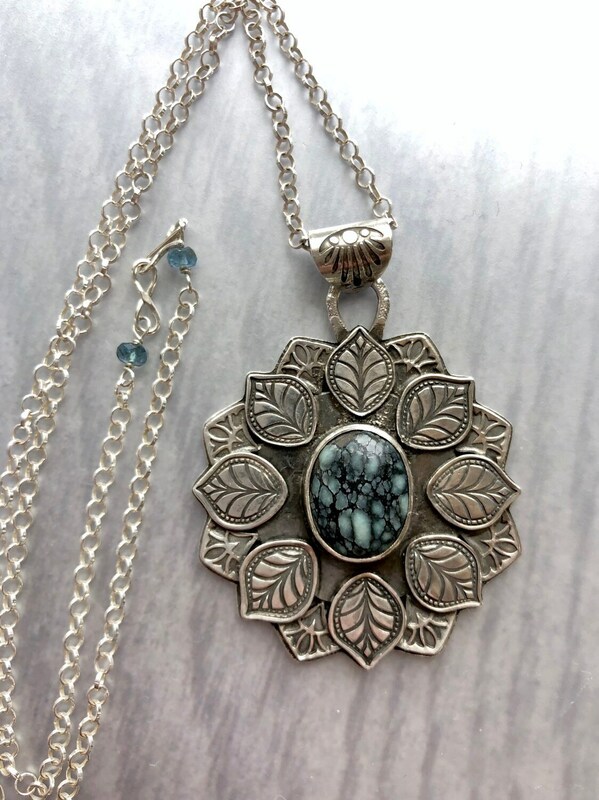 • The natural turquoise is about 13mm x 17mm. 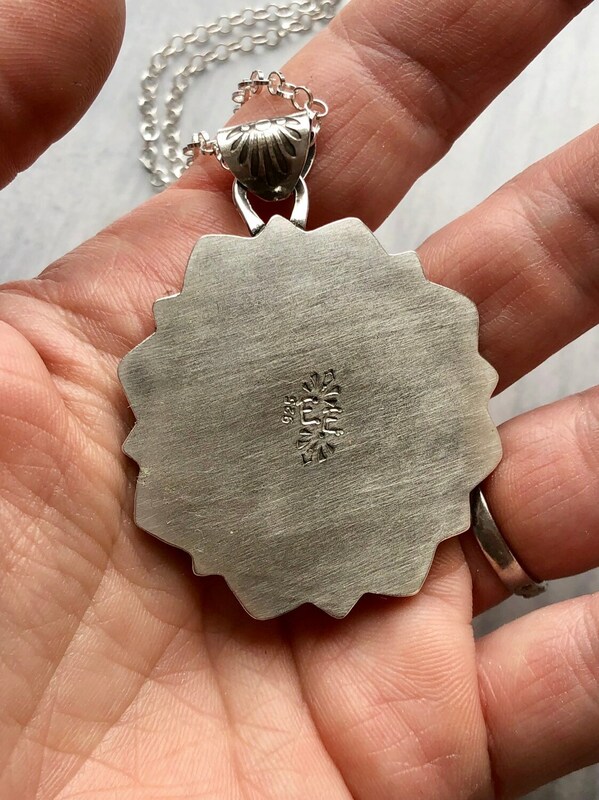 • The many layers of thick silver give this piece a nice weight. 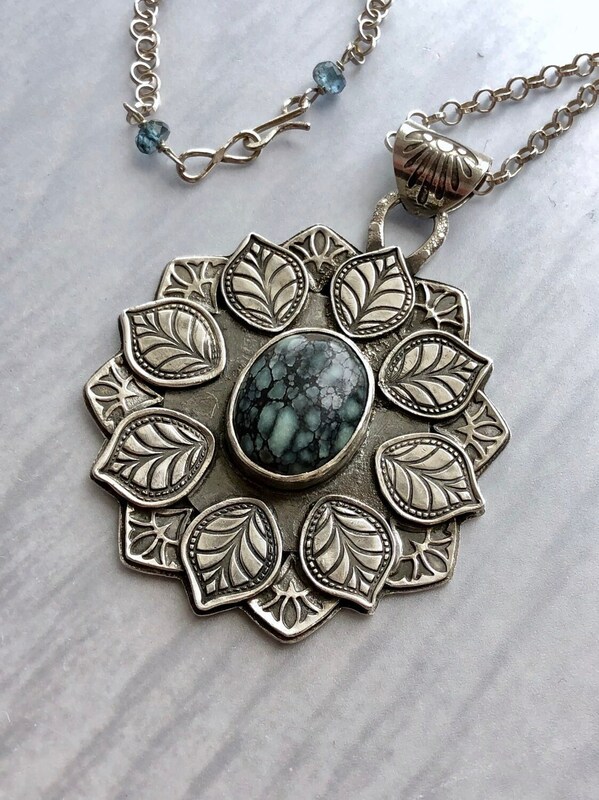 • Moss aquamarine rondelles connect the chain to the hand-forged clasp.